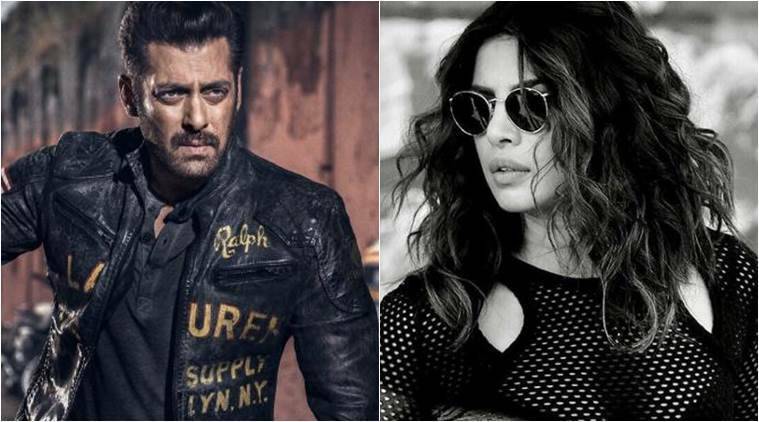 Priyanka Chopra decision to quit Bharat and walk out of Ali Abbas Zafar’s Bhara was a big blow for the fans as they were expecting Salman and Priyanka Chopra onscreen after almost a decade. Salman Khan is the lead actor of the movie would surely have been quite furious for quitting the film on short notice. Fans across the country were waiting for Salman’s reaction on Priyanka’s exit and recently he gave reaction to it during the trailer launch of his brother-in-law Ayush Sharma debut film Loveratri. Salman said "I'm really happy for her. Had we got to know at the time that she had signed a big project there (Hollywood), we would have never stopped her. The only thing was that we got to know about it at the last moment." Salman added that the team was informed about the decision just 10 days before the film went on floors. He also took a sly dig at the actress, saying that, at the time, she gave "other" reasons for leaving the film. "She had come home and I told her, 'Of course, no problem, if you don't want to do it, don't do it.' But that time she gave us other reasons." When a reporter asked him about those reasons, Salman said, "You know them." When quizzed whether marriage was one of them, Salman said, "Maybe." When Madhu Chopra was asked to speak about Salman being upset with her daughter, she said, "You people (media) only make such stuff up, Salman is not upset with her." In fact, Salman's father Salim Khan had refrained on such rumours. In an interview to SpotBoye, the veteran writer had said, “It’s okay whatever happened. Priyanka is not doing Bharat, let her be. Such things happen in our industry”. Now the big news is that Katrina Kaif will be the part of the film cast as the female lead.